The Voice is officially over the Hilltop! 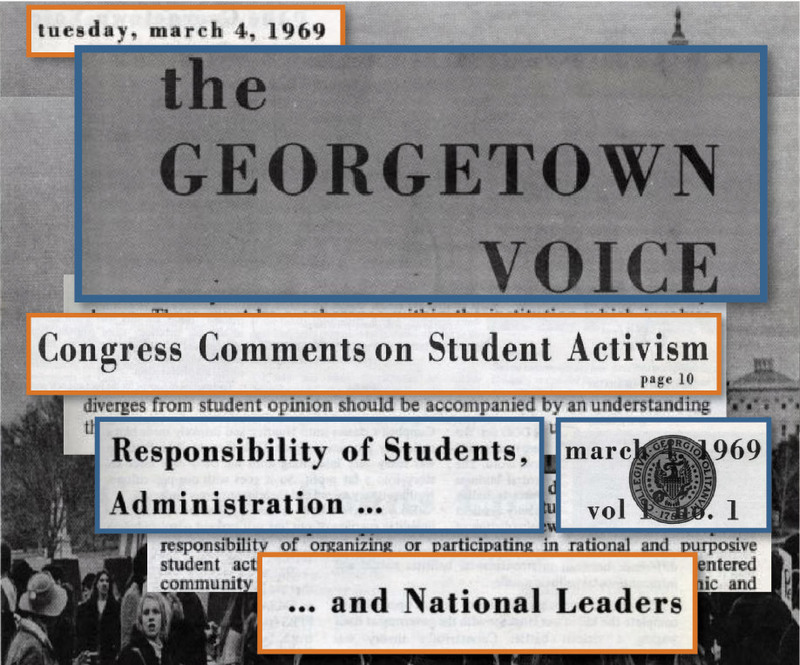 Since 1969, we’ve striven to provide a platform for Georgetown students’ voices, keep the university accountable, and tell the stories you need to know. 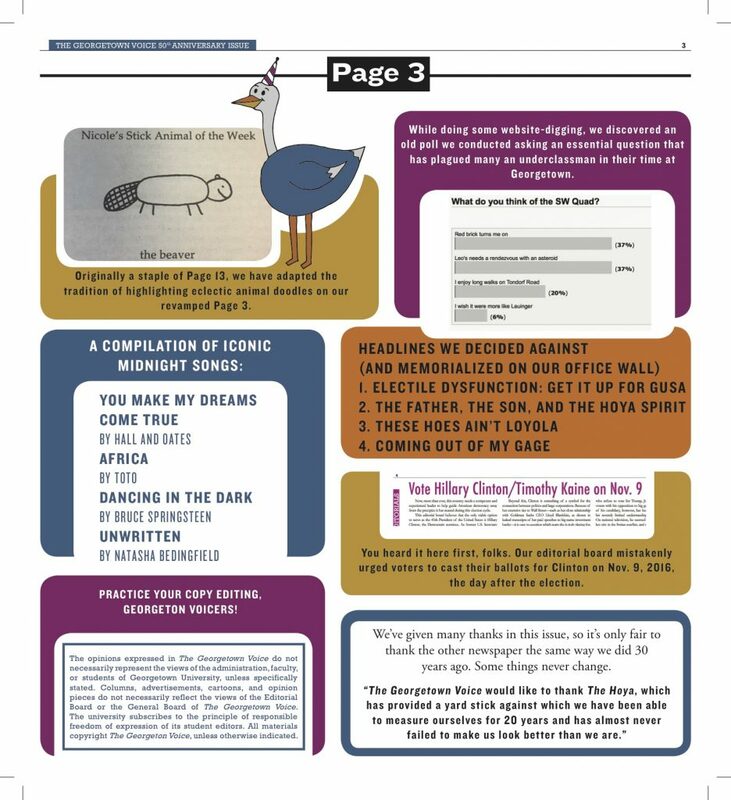 Click on the image to the left to view the entire issue or browse through the stories on this page to learn more! By my calculations, since the Voice was founded 50 years ago, it has seen 12 (and a half) completely new staffs labor over its pages. 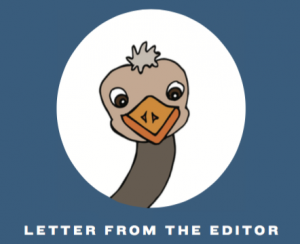 I joined one of those teams after my first student activities fair when someone shoved into my hands a thin, glossy magazine with three ostriches on the back cover insisting, “Hey, you. Join the Voice.” I took the birds’ advice and sat in a corner of Leavey 424 for an information session, having no idea why there was a broken mannequin in a green blazer lurking in the back of what I assumed to be a professional newsroom. Somehow, here I am four years later. Our short time in college means you only have a finite period to build momentum toward change for one or two groups you’ve fallen into. But four years later, you’ll have to trust that the new students into whose hands you are shoving thin, glossy magazines will carry on what you’ve worked for during many late nights in a cramped office. 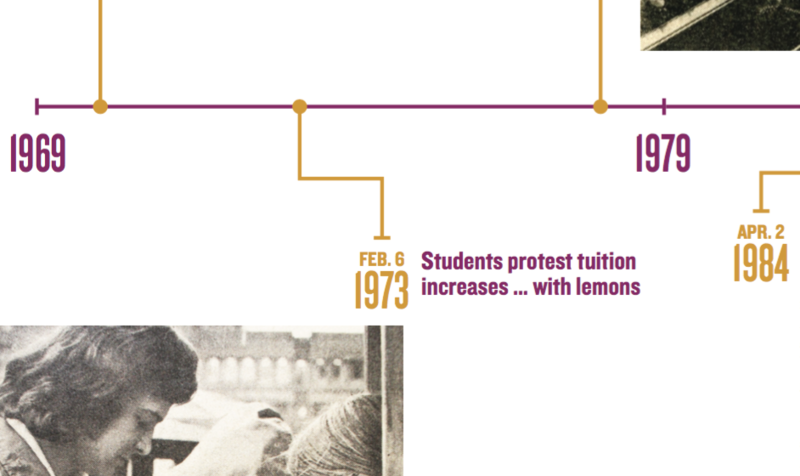 Looking back through old issues of the Voice while preparing for this anniversary issue, I realized that over five decades we have cyclically covered the same topics— tuition, construction, GUSA elections—complained about the same things—shut-down parties and opaque university administrators—and even made similar typos (I won’t go into those). At first, it disheartened me: How could we ever expect to grow if we couldn’t remember what we’d done just five years ago? 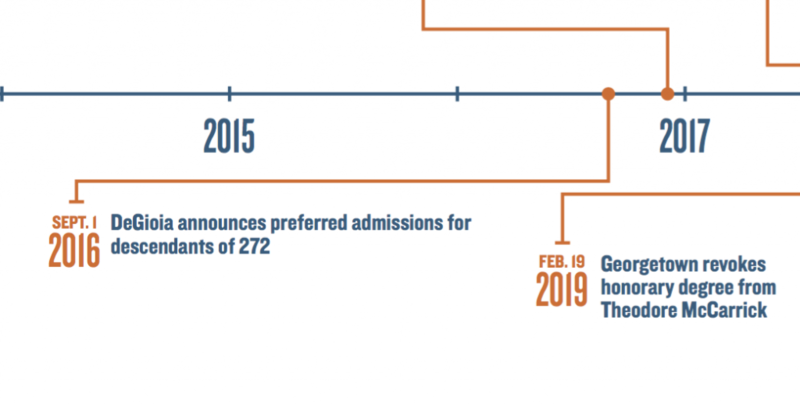 But after speaking with Voice alumni over the past few months, I realize that we’ve all had the same goal that led to that repeating coverage: Keep the university accountable and help the campus community use these short years on campus the best we can. 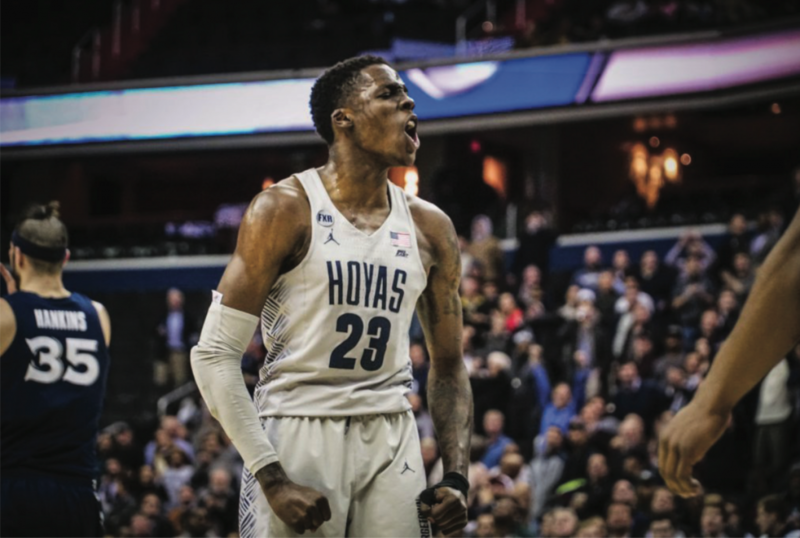 The passion for that goal is what has kept the Voice going, with all of its quirks and irreverence and mistakes and improvements that each unique set of staffers have built on throughout the decades. 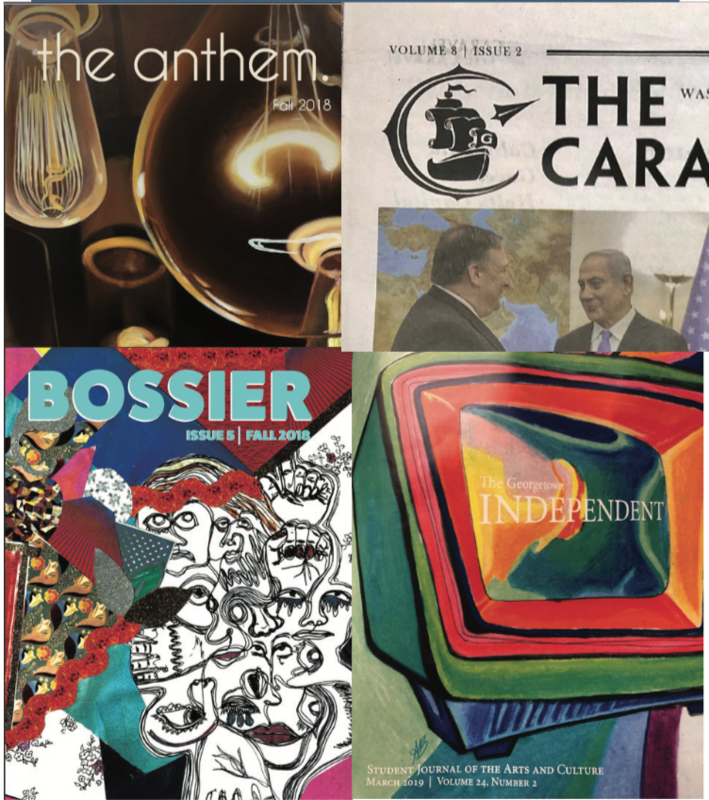 So when I leave campus in a month, I have to believe that I have left it with a stronger community and a better newsmagazine than when I got here simply because that is what previous Voicers trusted me to do. Before that, please indulge us in this special, 50th anniversary edition. To those who come after us, all we ask is that you enjoy your time on the Voice, the late nights, the long meetings. We ask that you do what we have done, but bigger and better, having a grand old time until at least 2069. 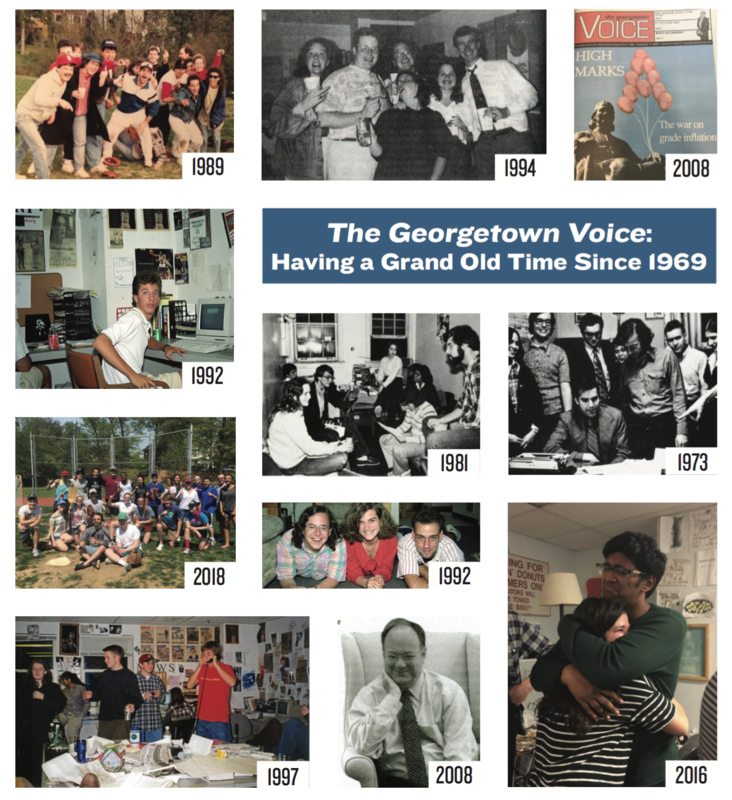 Take a look back at the Voice's founding in 1969, memories of alumni through the years, and what we've been up to in the past decade. Carrying On: What Does the Voice Mean to You? The Voices section reached out to Voice alumni from throughout our 50 years and asked them the question, What does the Voice mean to you? 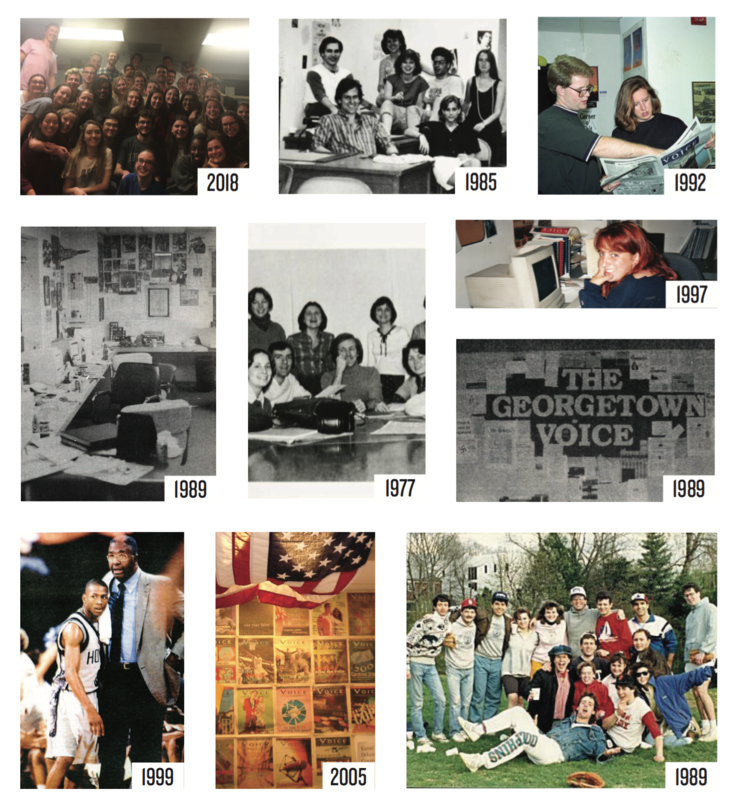 Jason Kelly (COL ’96) Editor-in-Chief, Spring 1995 My memories of the Voice are too numerous to capture in a couple hundred words, unless I default to a Larry King-like, ellipses-riddled regurgitation…. 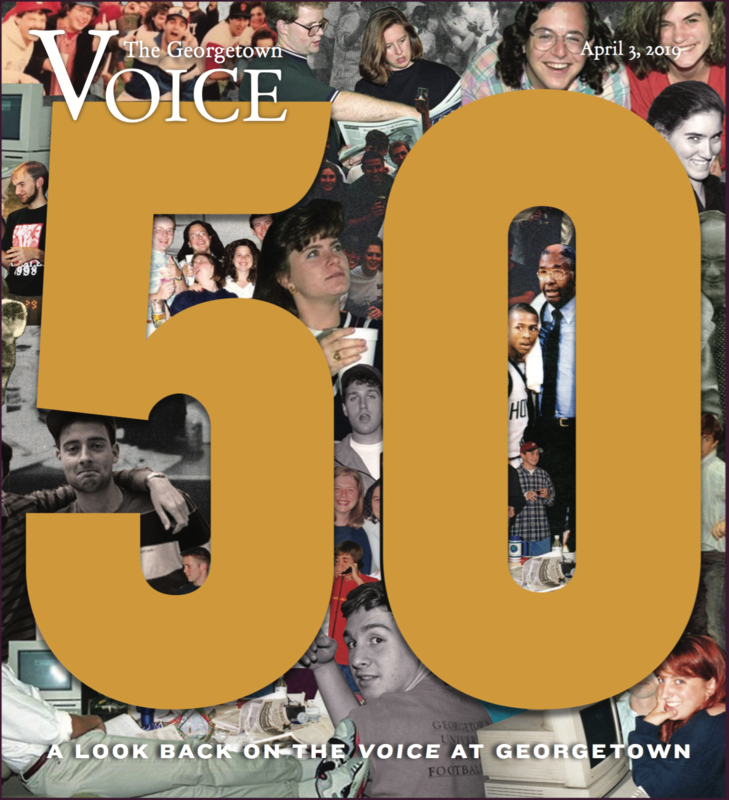 We dug through our archives to find the biggest (or our favorite) stories the Voice covered in our first 40 years. 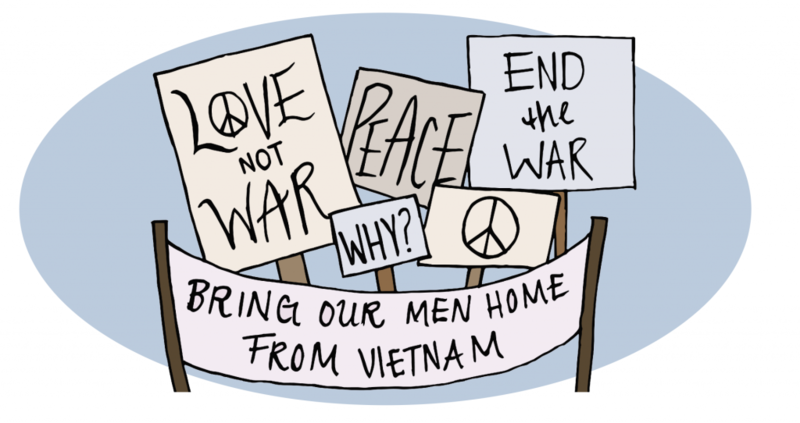 *** May 5, 1970 Students strike, boycott classes The Georgetown Student Senate called for a two-day boycott of classes to protest for a number of on-campus reforms, including the U.S. withdrawal from Southeast Asia….